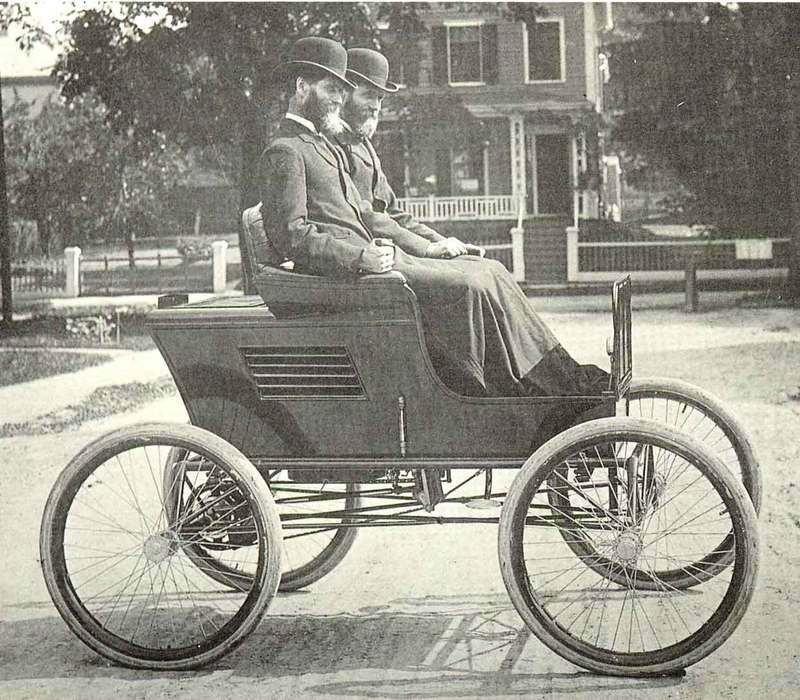 The Stanley Motor Carriage Company was started by twin brothers from Maine, F.E. and F.O. Stanley, who were known for their “Yankee ingenuity” and entrepreneurial prowess. Explore the exhibit to learn more about the Stanley brothers, the Stanley Motor Carriage Company and their connection to the Marshall family and Auburn Heights. Chronologically: To go through the exhibit step-by-step use the buttons at the bottom of your screen. To go forward use, the bottom right button; to go back to the previous screen use the bottom left button. You can always return to the start of the exhibit by clicking on: The Stanley Motor Carriage Company: Exhibit Home.